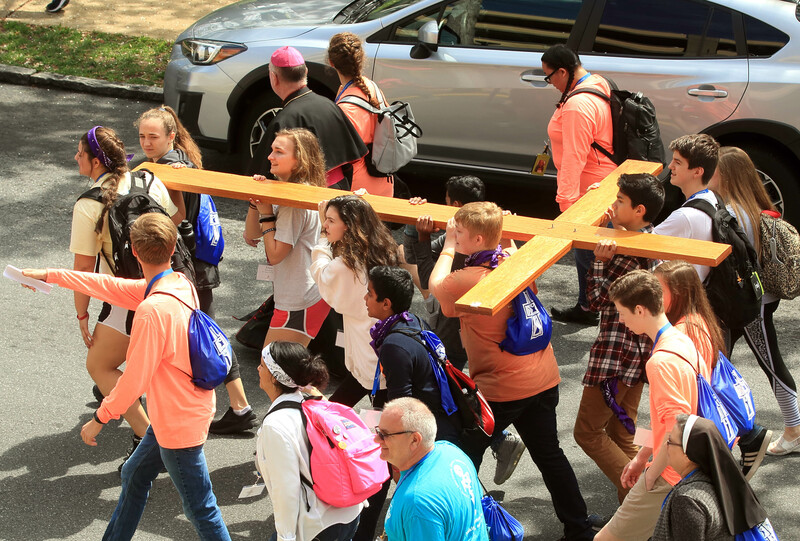 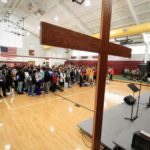 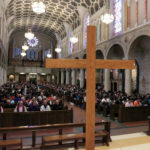 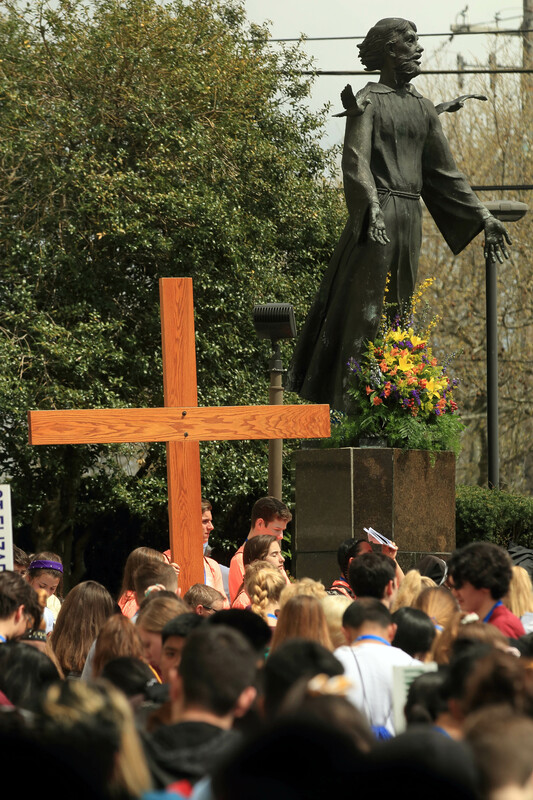 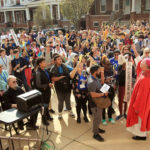 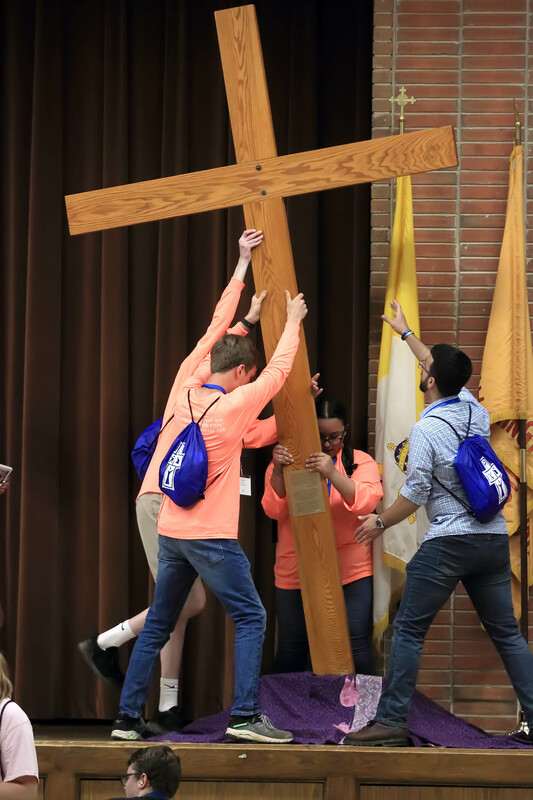 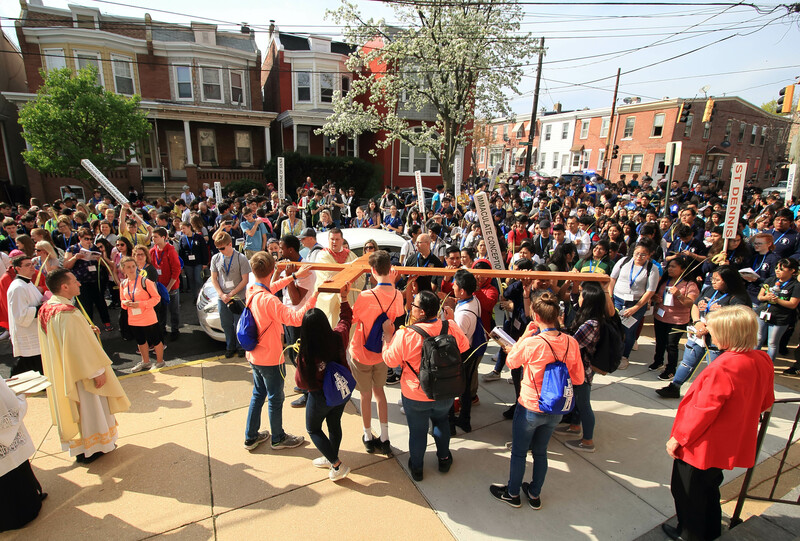 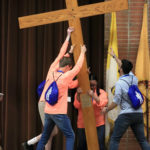 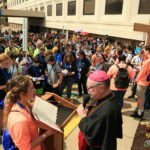 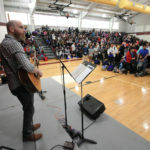 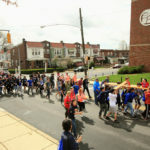 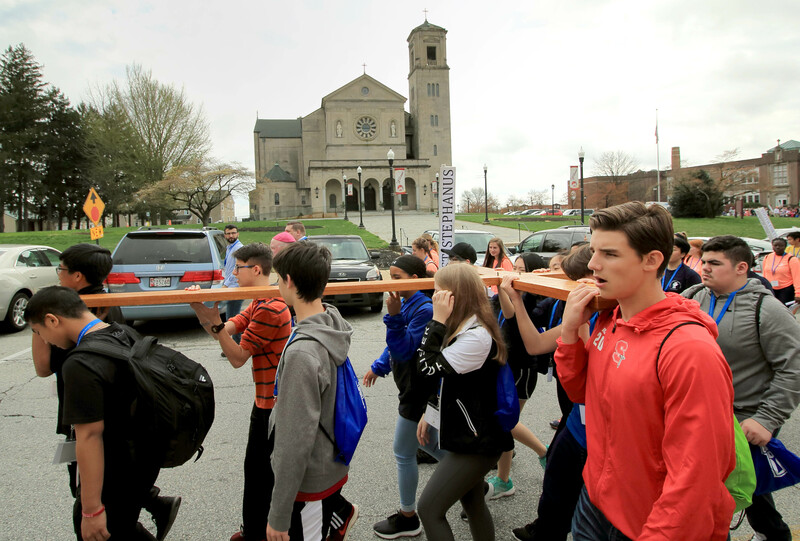 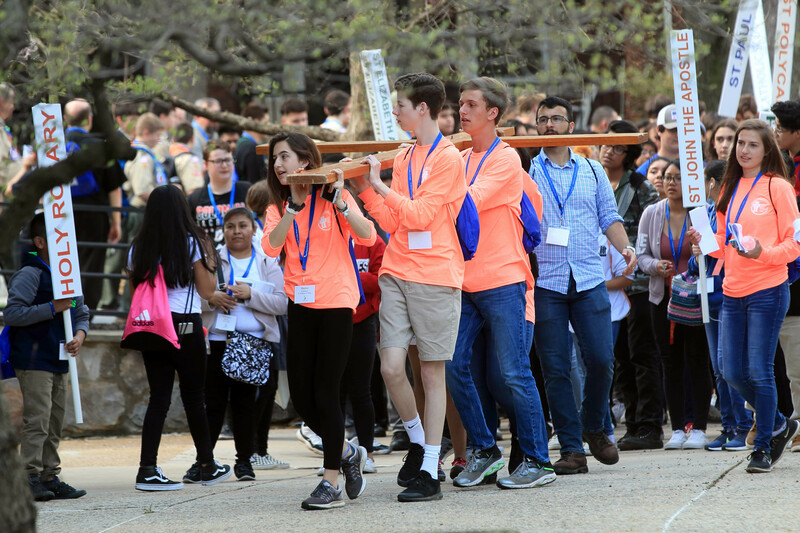 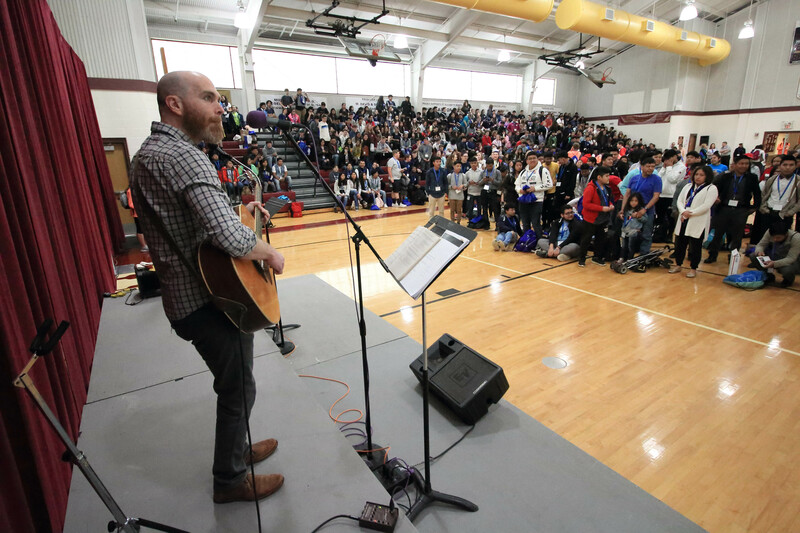 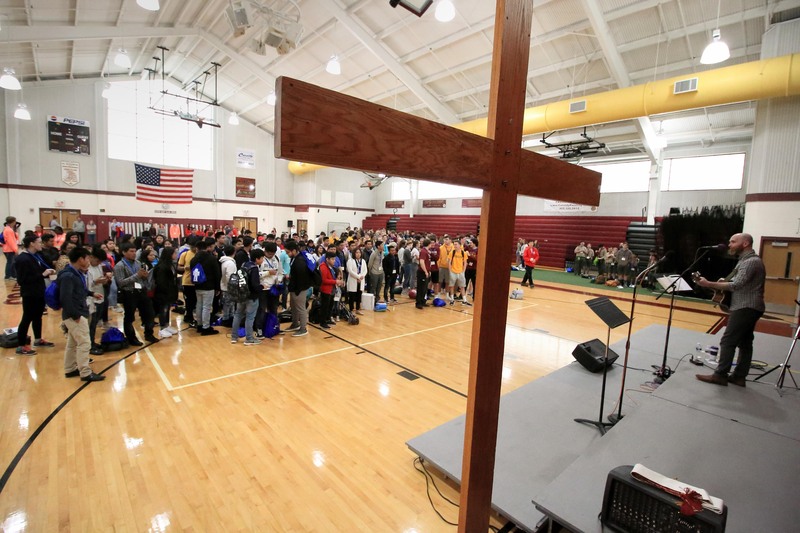 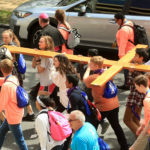 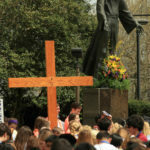 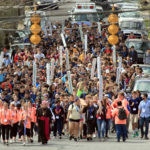 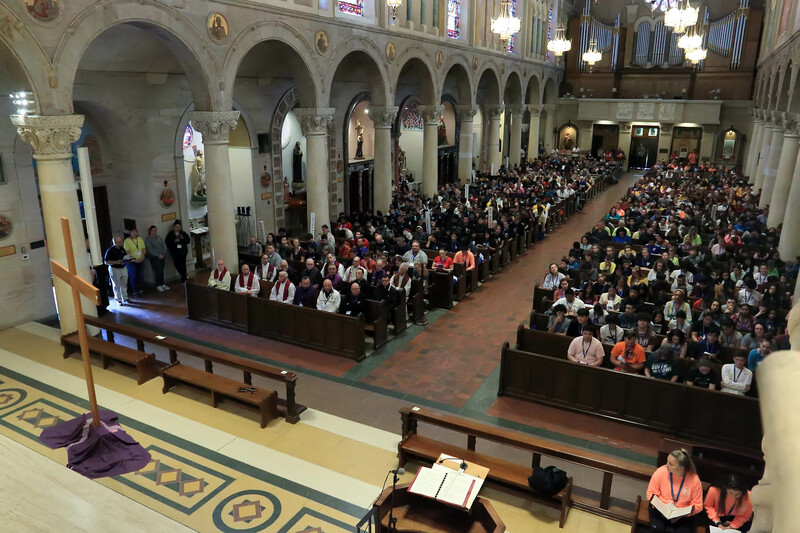 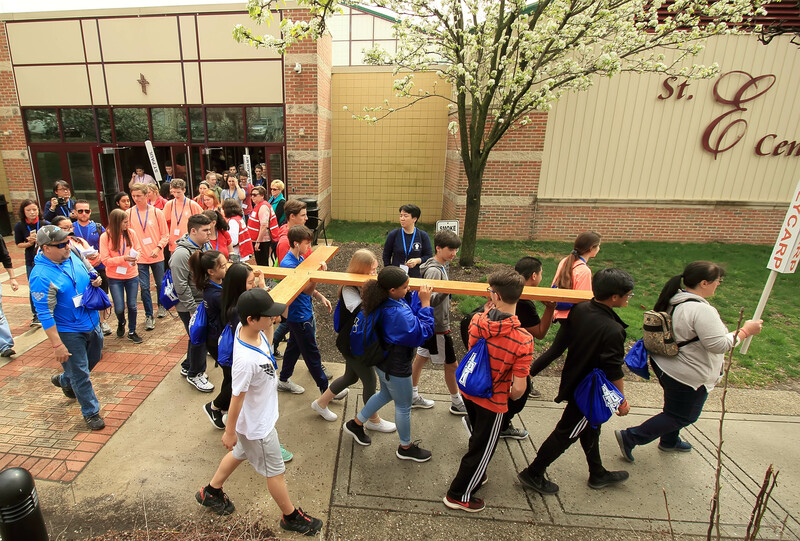 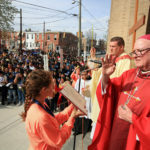 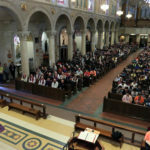 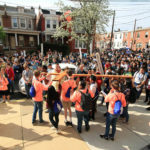 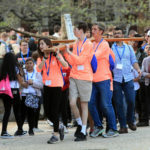 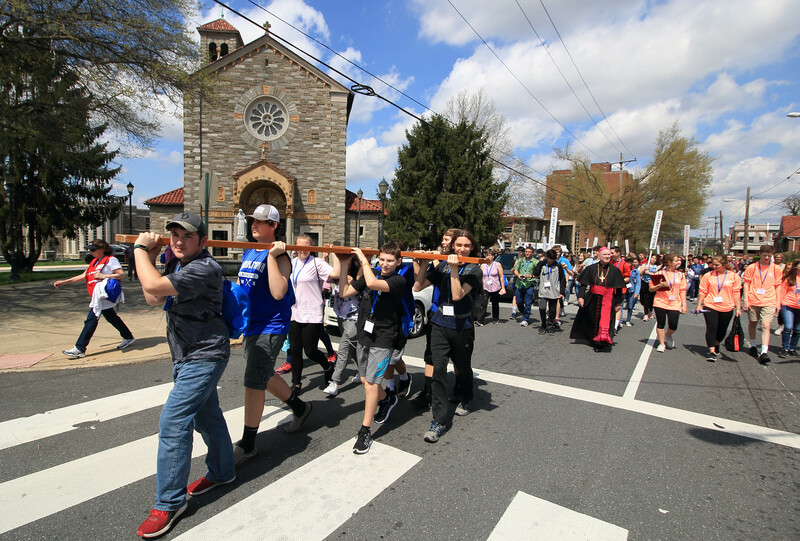 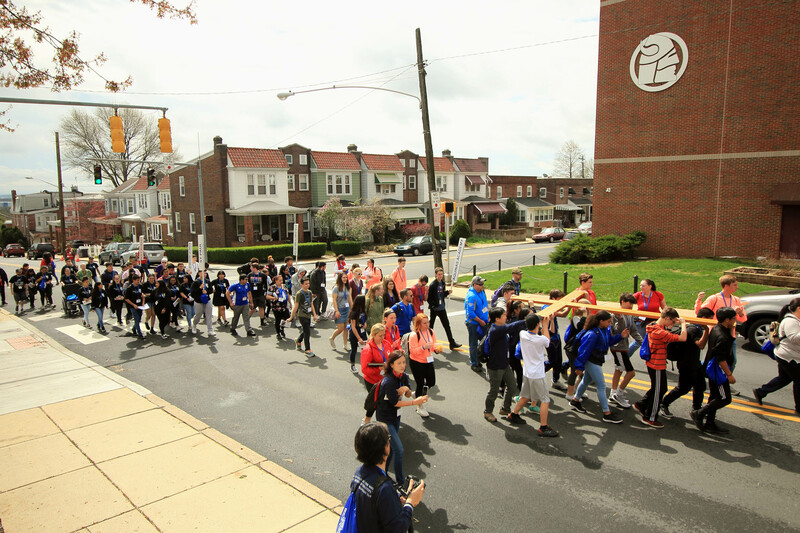 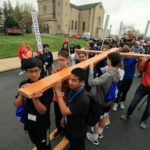 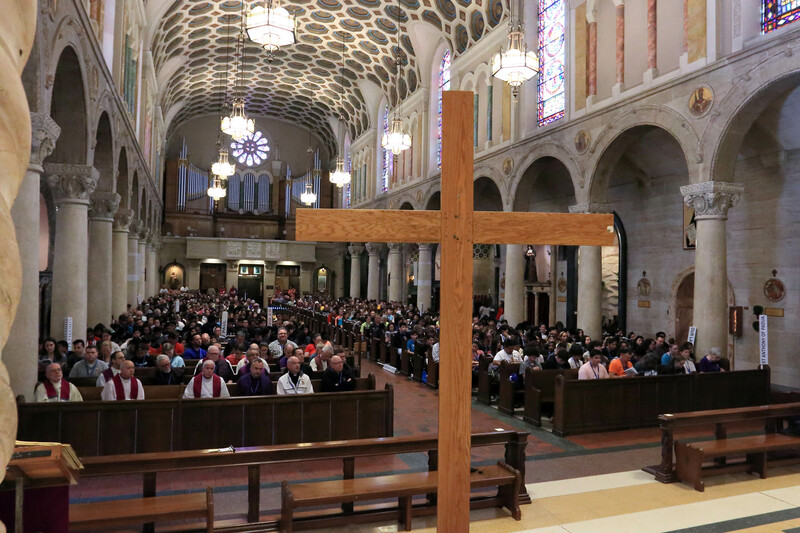 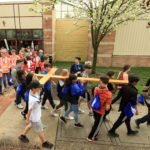 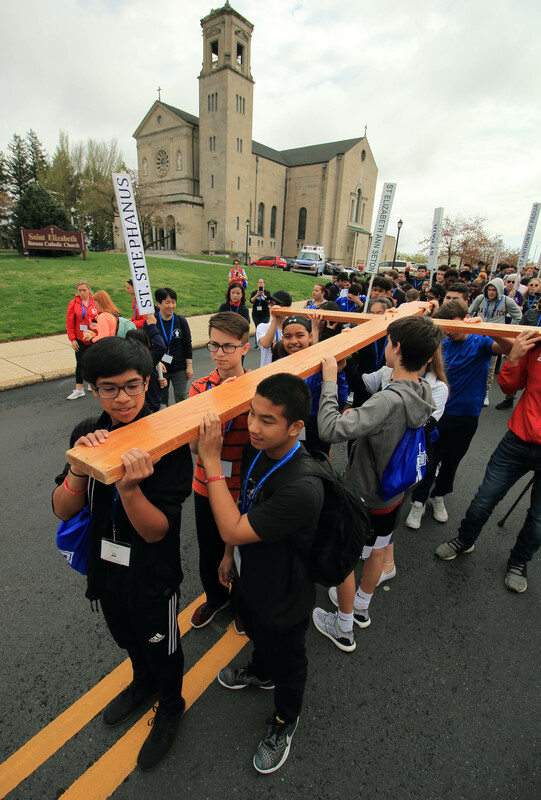 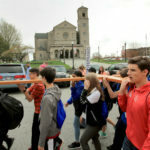 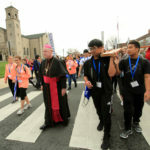 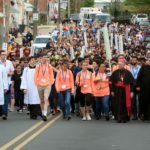 Nearly 800 pilgrims on April 13 joined Bishop Malooly for the 10th straight year for the Diocese of Wilmington Catholic Youth Ministry pilgrimage. 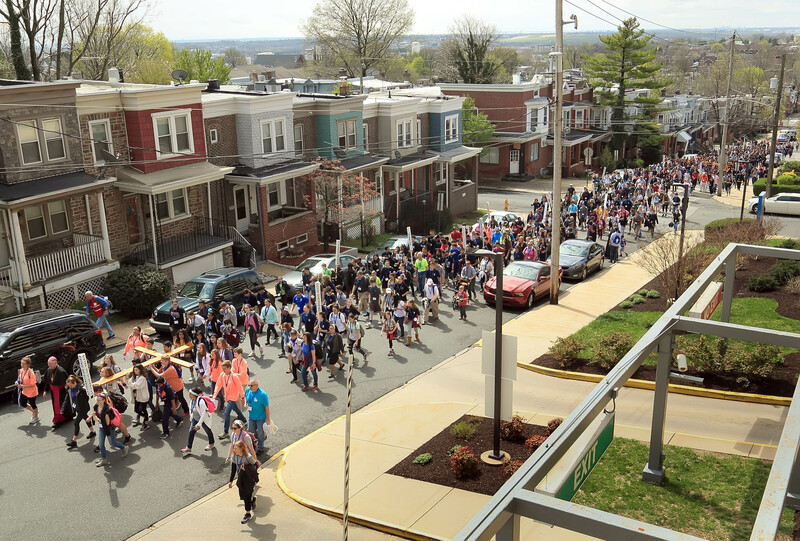 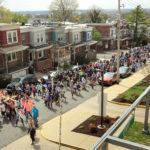 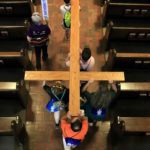 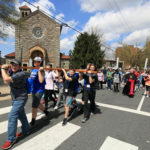 The streets of Wilmington were filled with pilgrims walking from one Catholic destination to another on the Saturday before Palm Sunday in a display of faith. 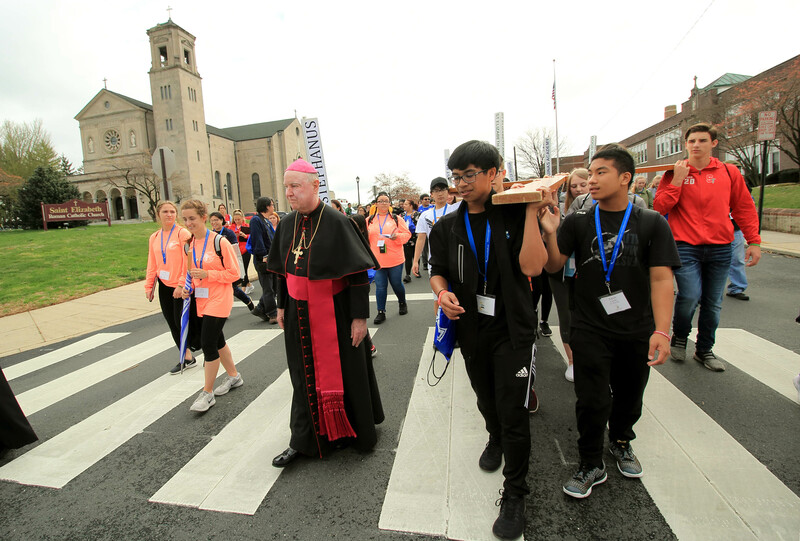 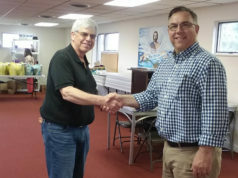 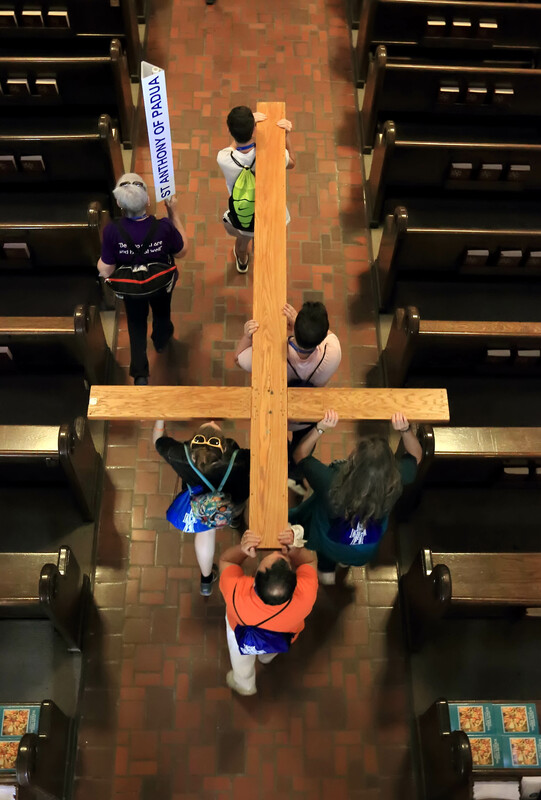 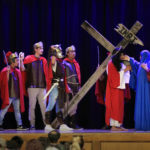 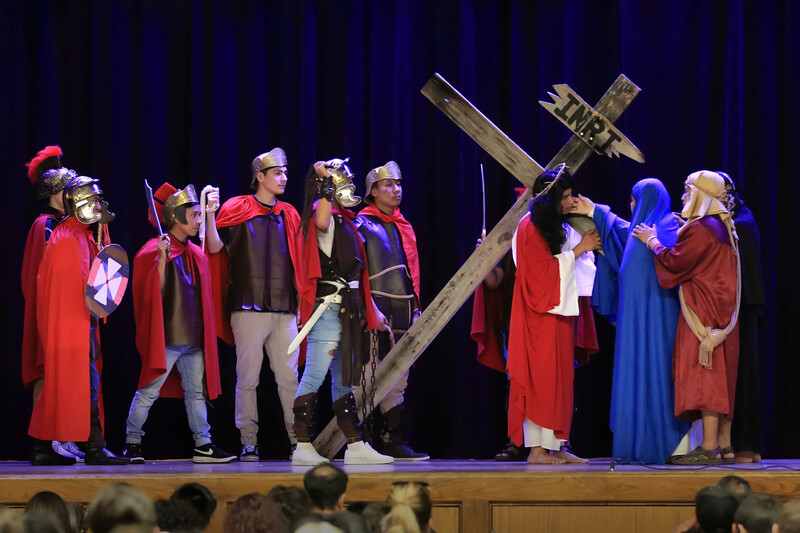 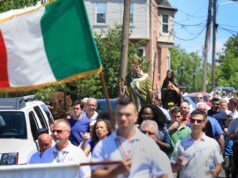 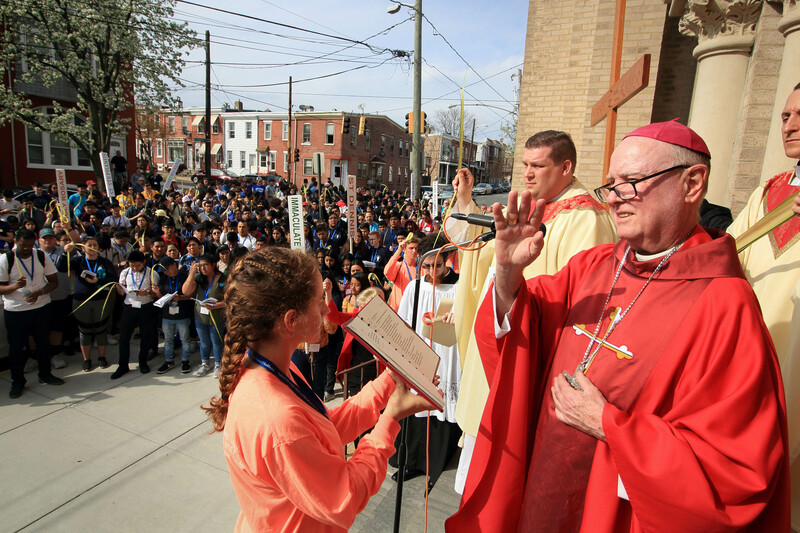 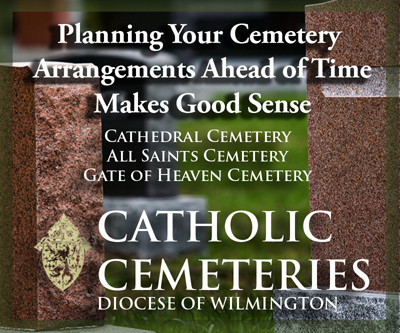 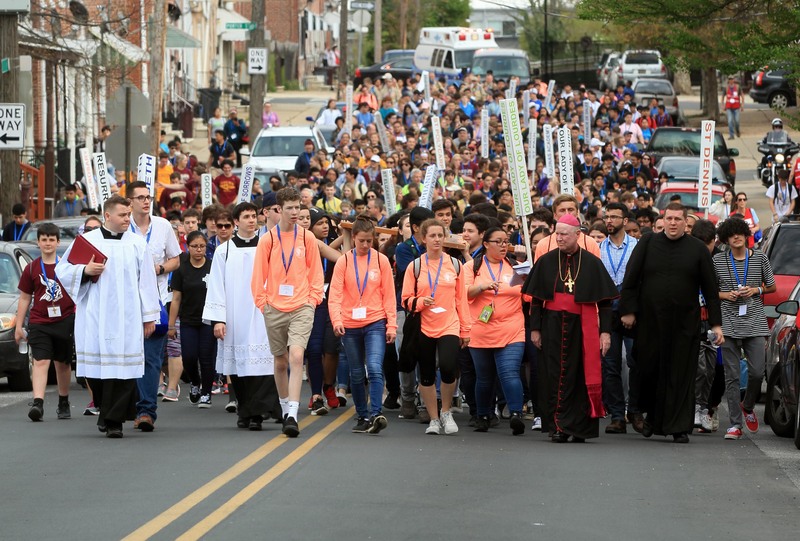 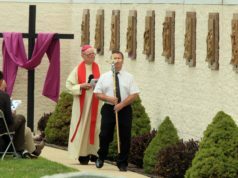 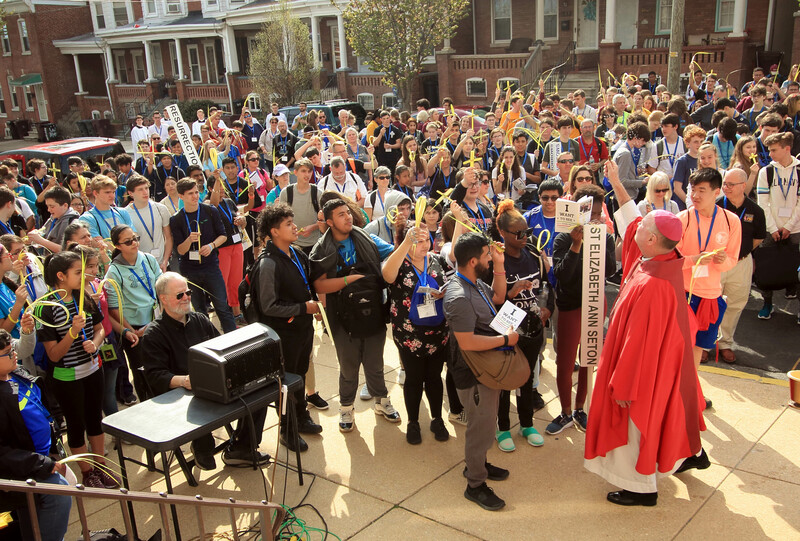 The theme this year was “Pilgrimage 2019: Journey to the Kingdom.” The pilgrimage is a tradition brought to Wilmington by Bishop Malooly, modeled after a similar event in his native Archdiocese of Baltimore. 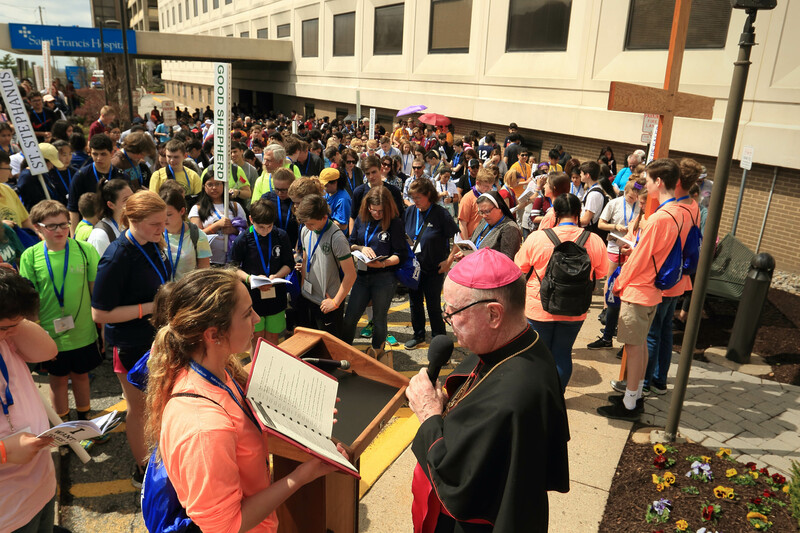 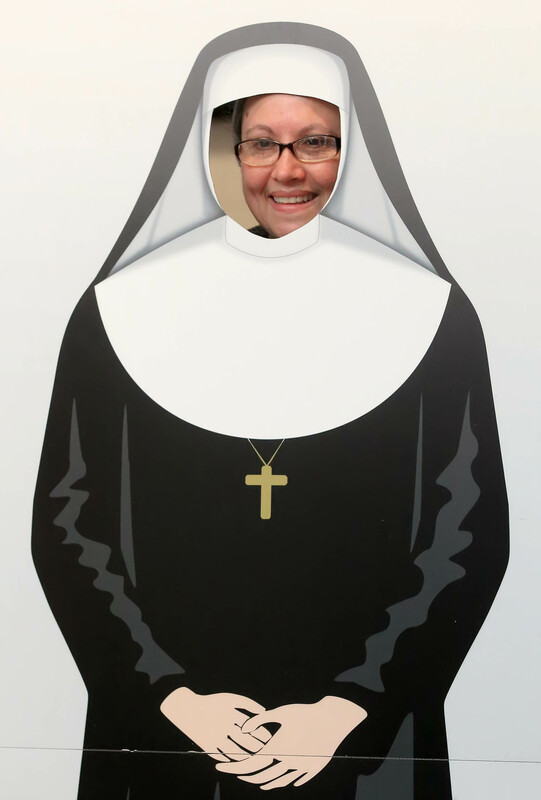 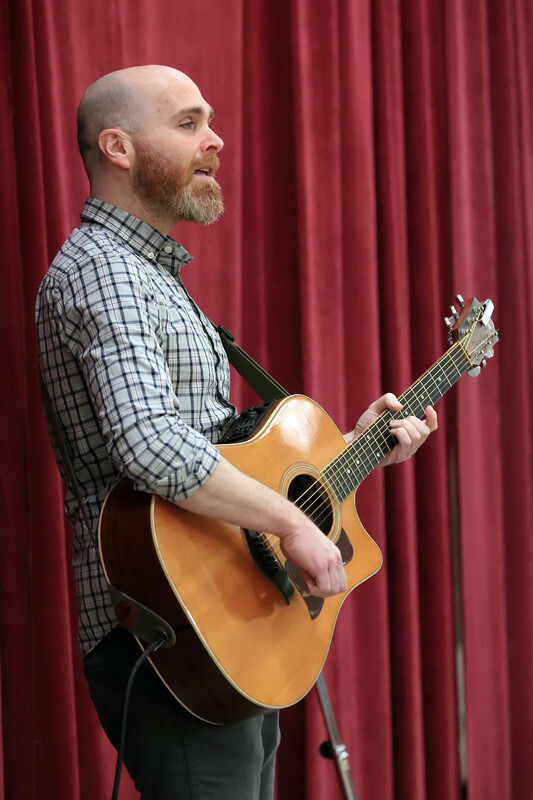 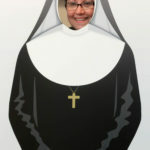 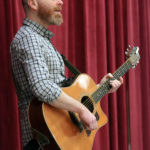 The day began at the St. E Center at St. Elizabeth Parish and included stops at St. Francis Hospital, St. Anthony of Padua parish, Padua Academy, St. Paul parish and and St. Hedwig parish. 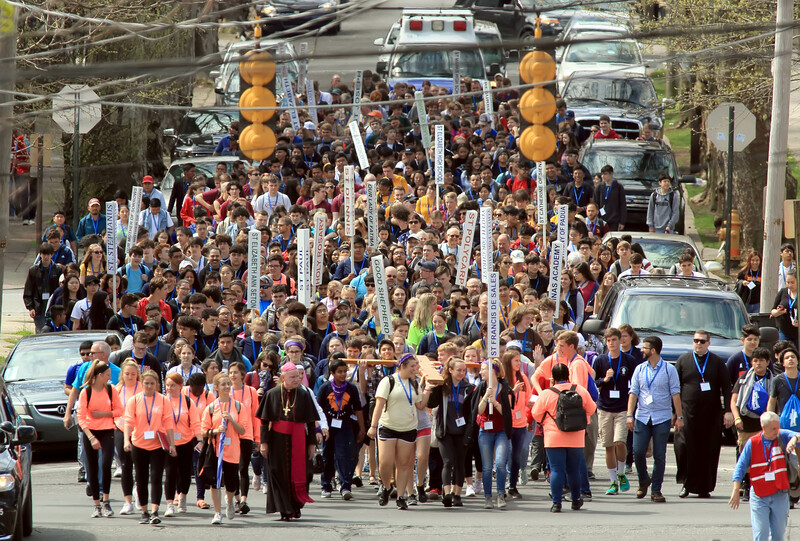 A group of 760 young people from parishes throughout the diocese joined the pilgrimage.